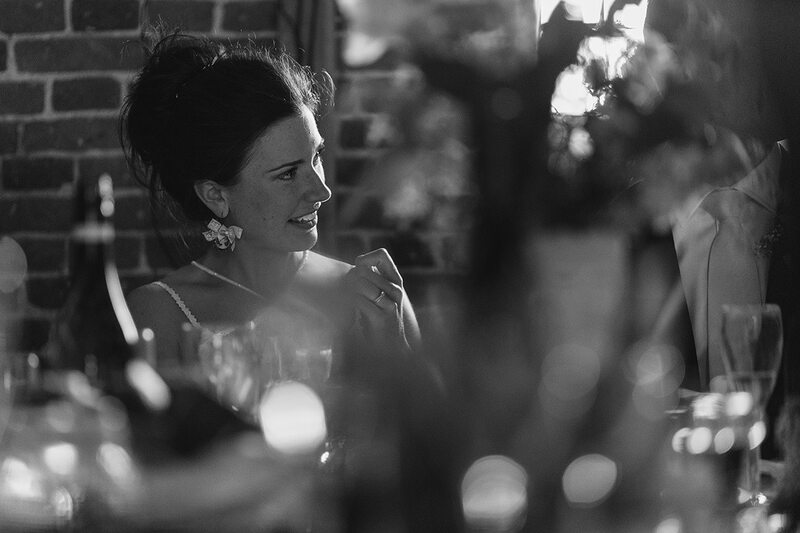 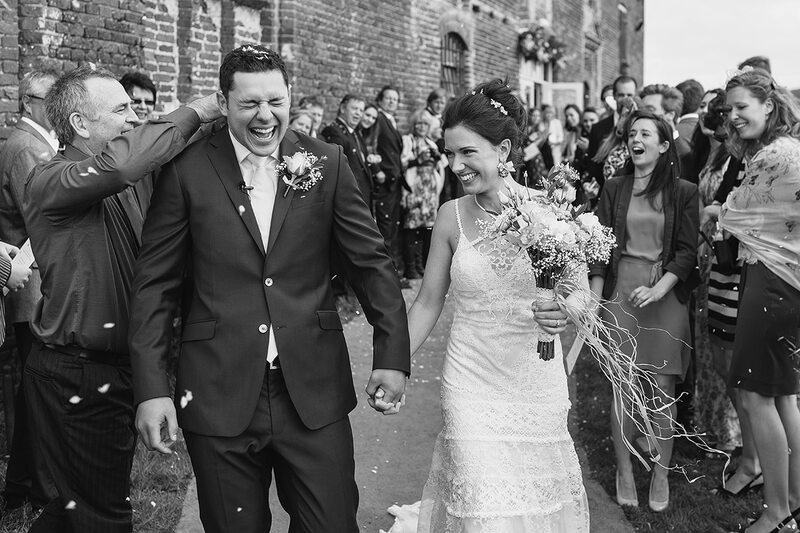 Godwick Hall is a new venue for me, but with a familiar wedding coordinator – Miranda is a former client whose wedding I photographed a few years ago now. 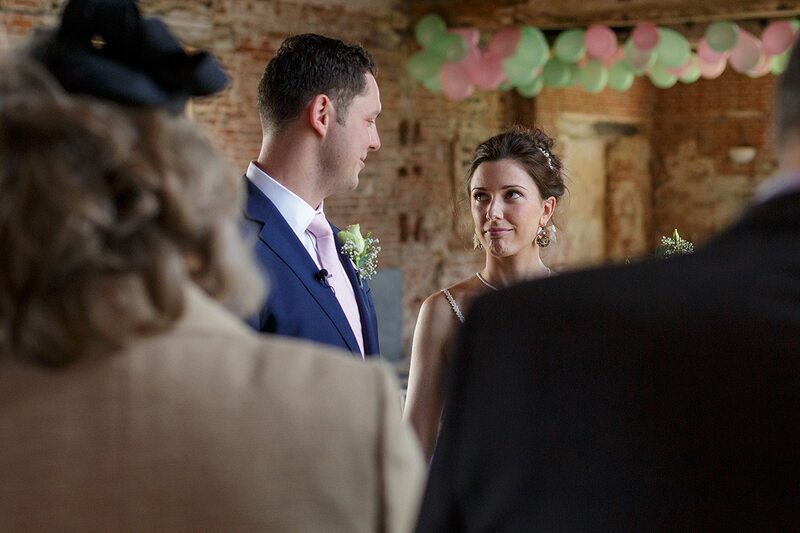 Thanks for putting Kate and Ben in touch ! 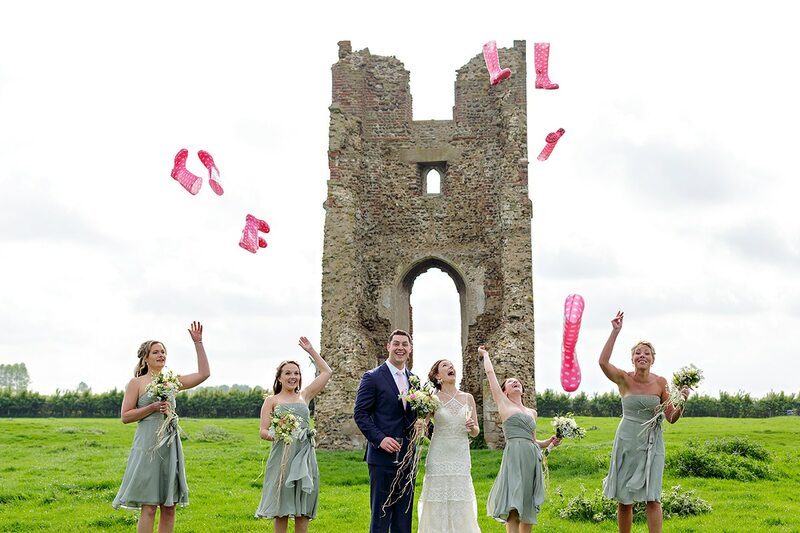 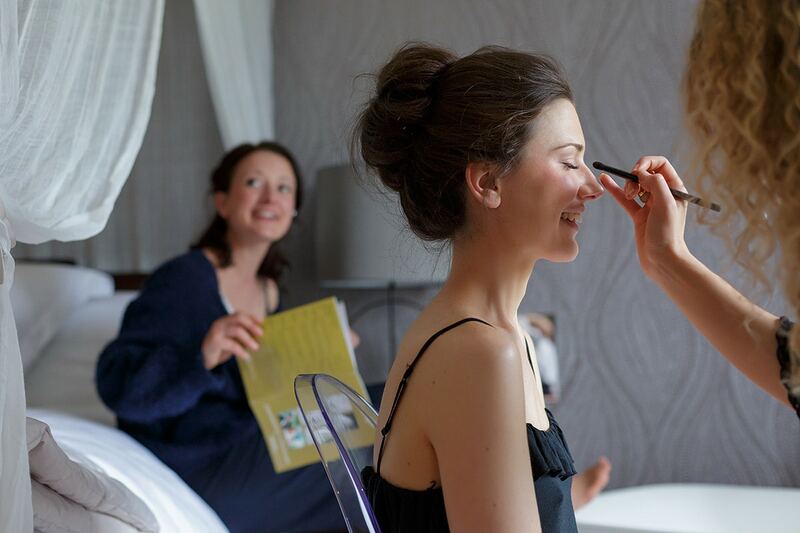 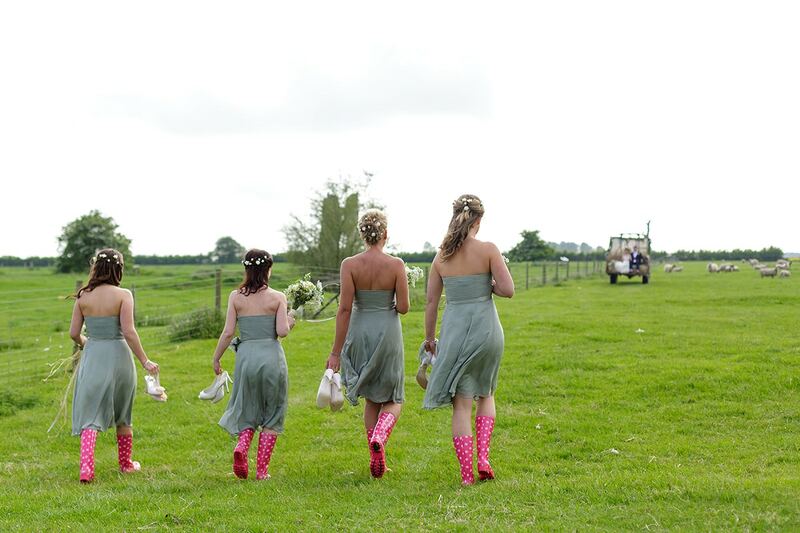 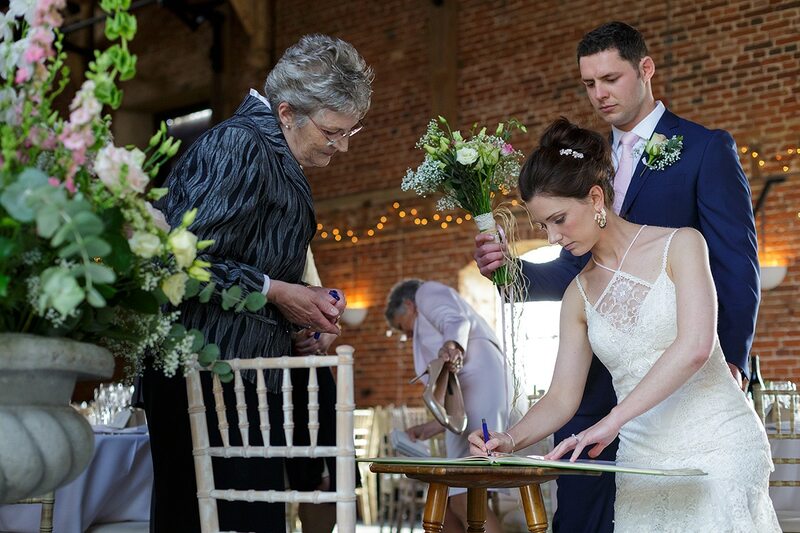 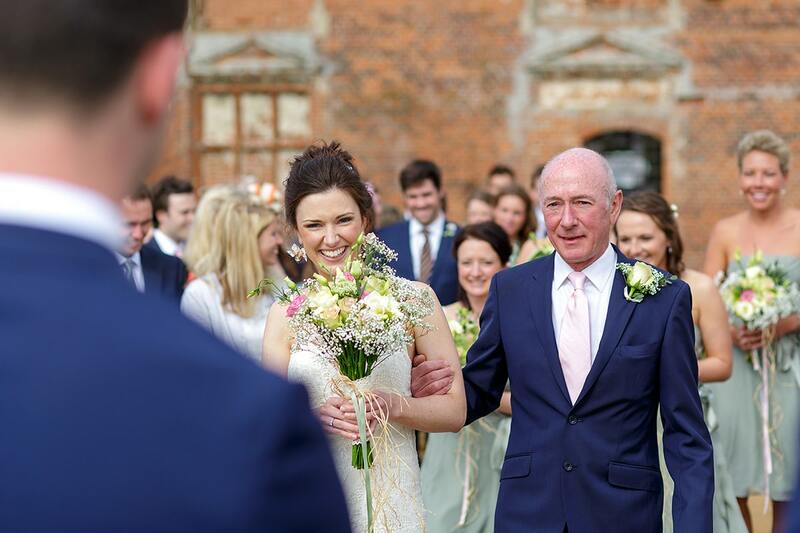 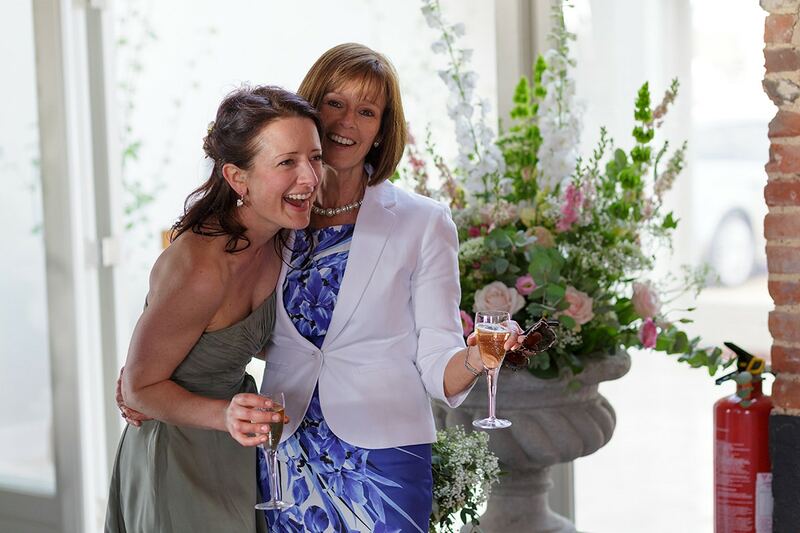 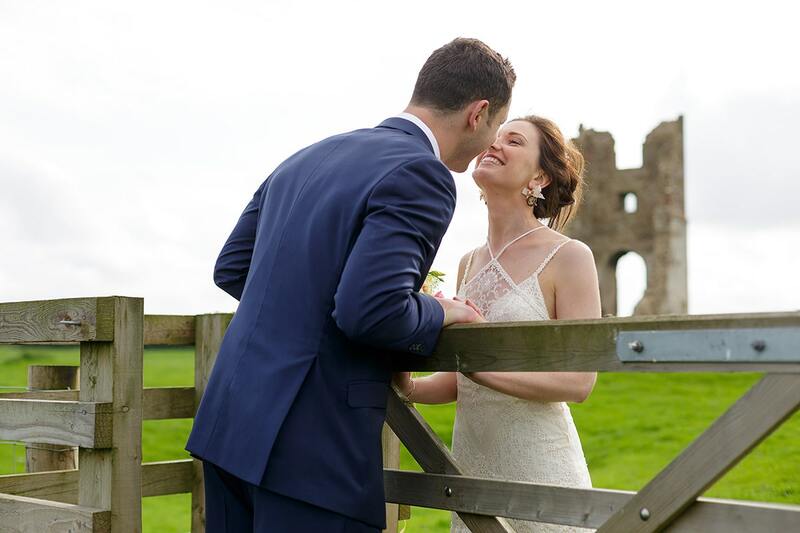 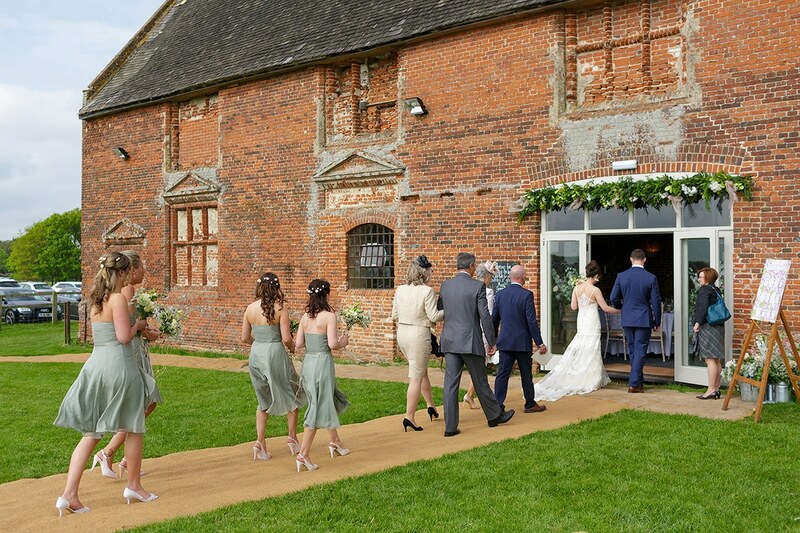 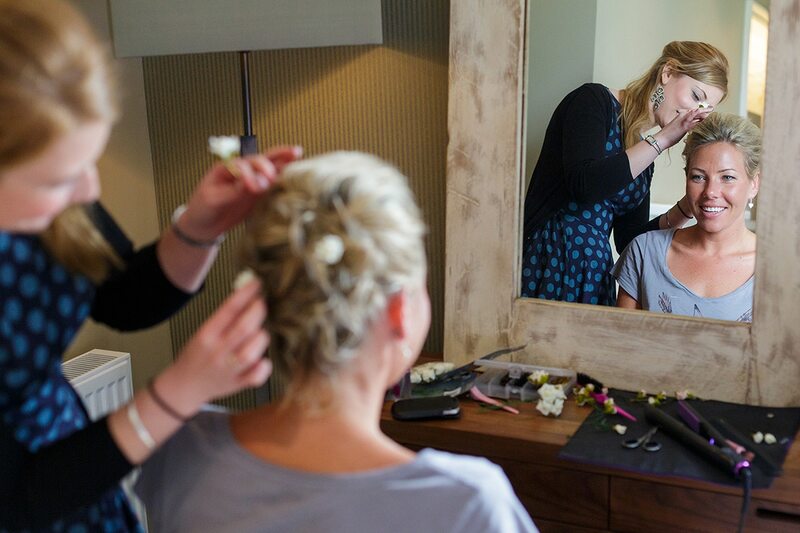 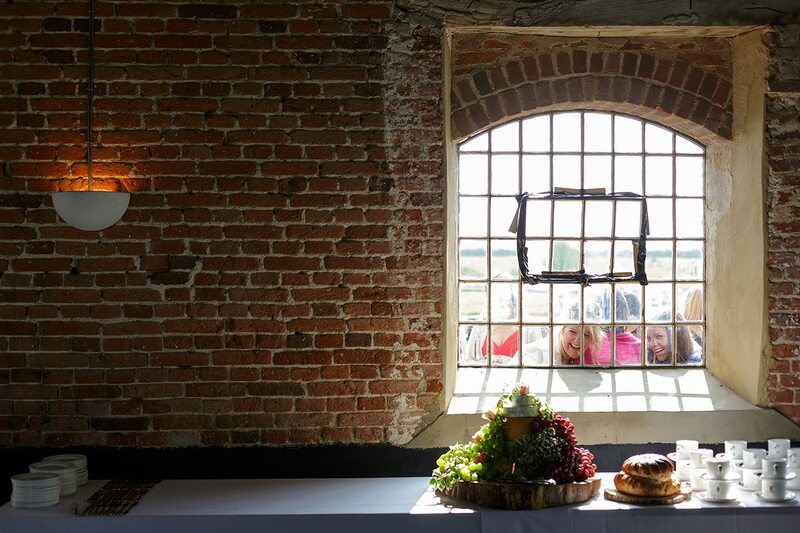 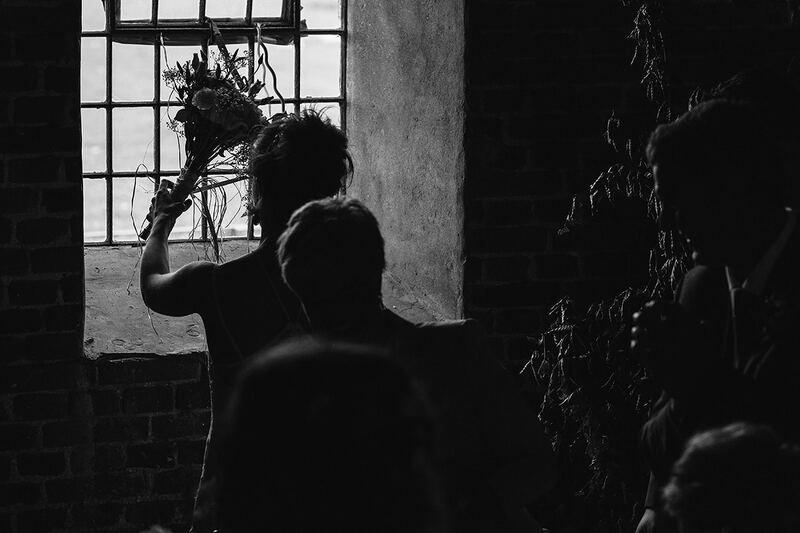 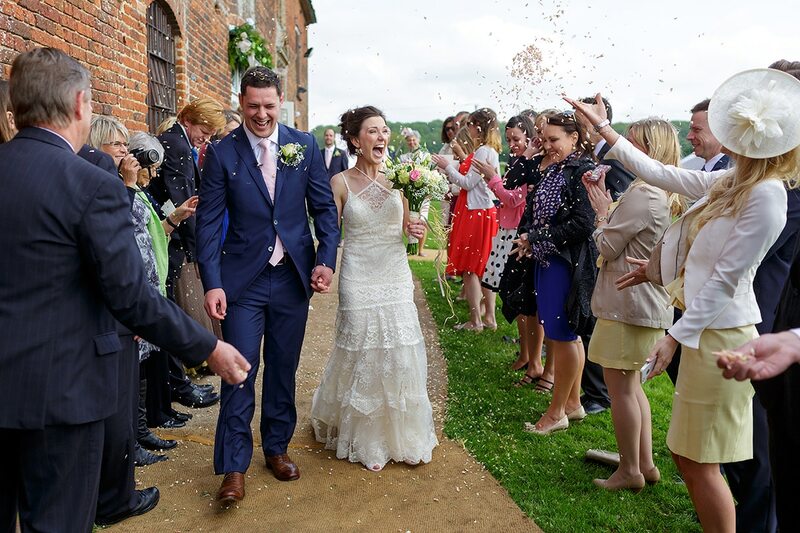 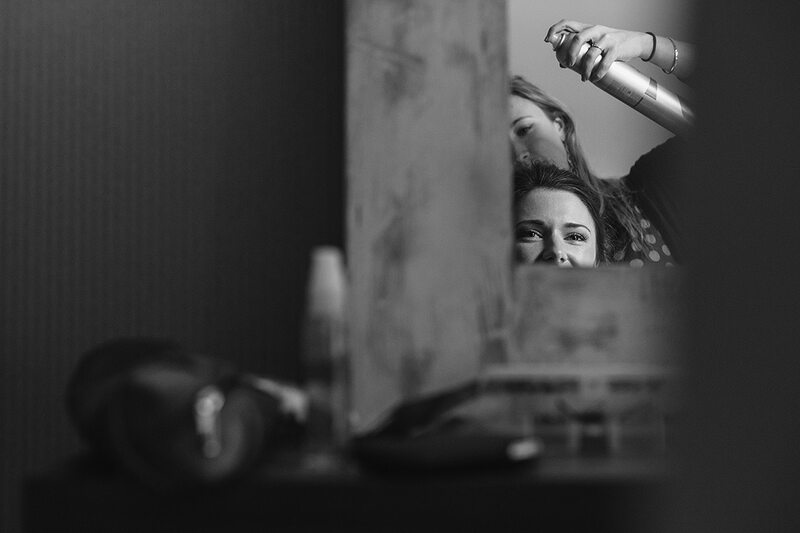 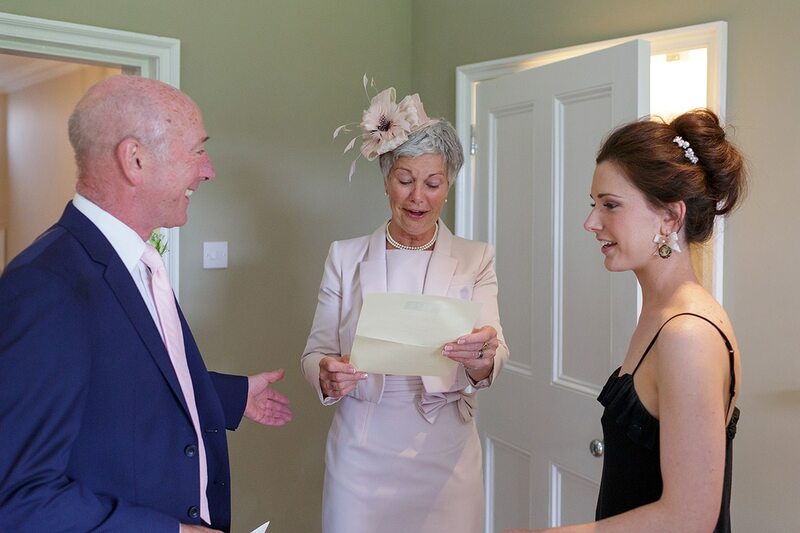 I began with Kate and the girls who were getting ready in the fantastic accommodation at Godwick Hall, just a stones throw from the barn itself. 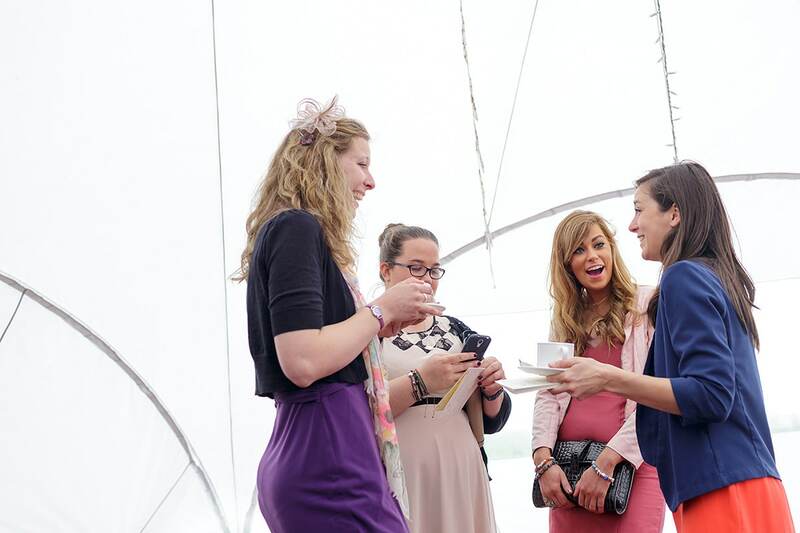 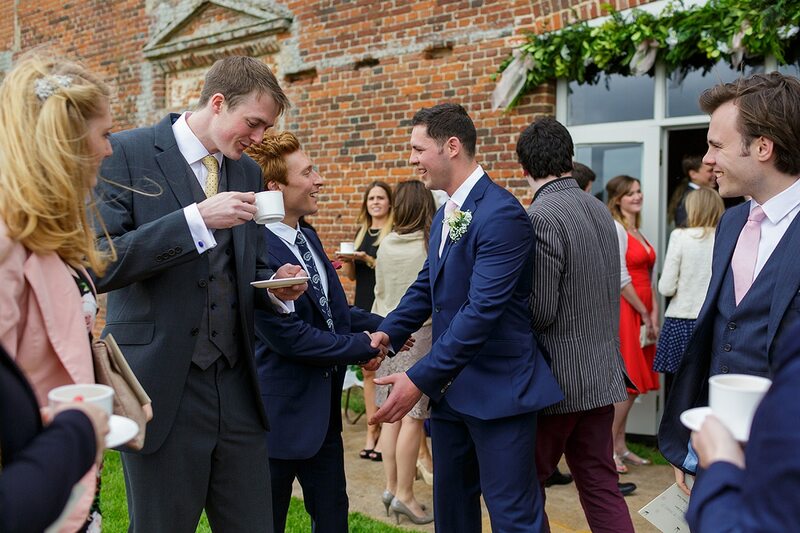 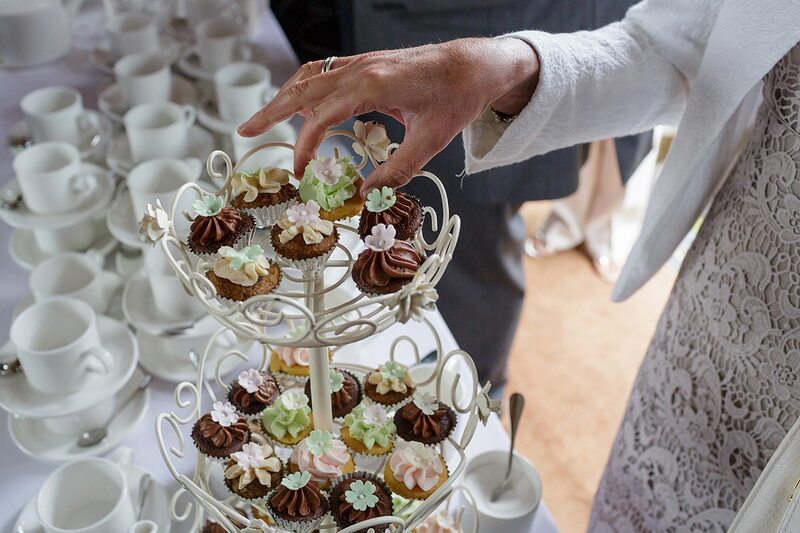 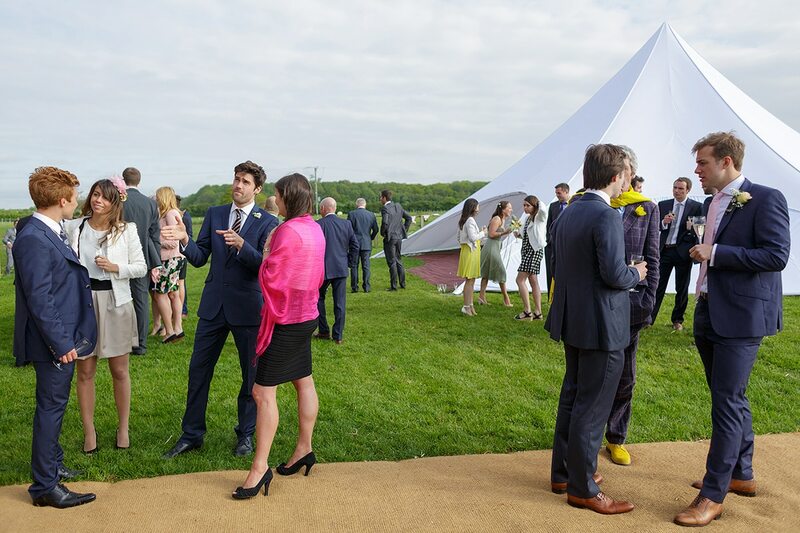 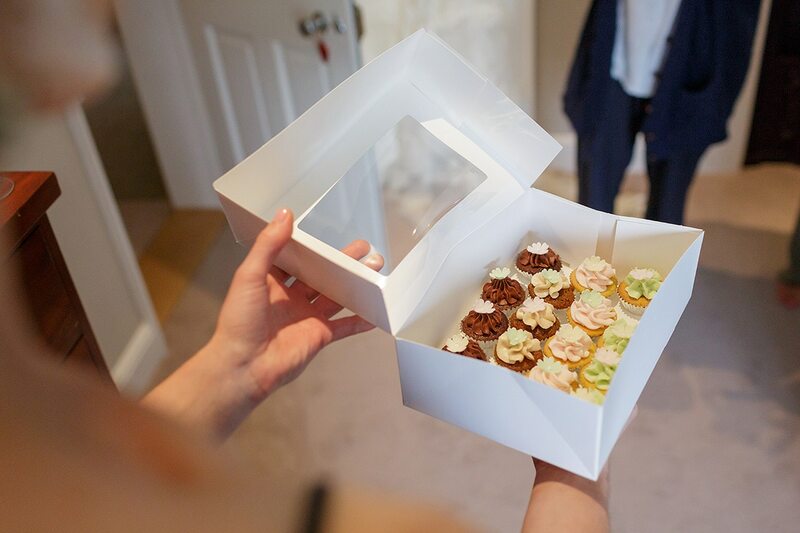 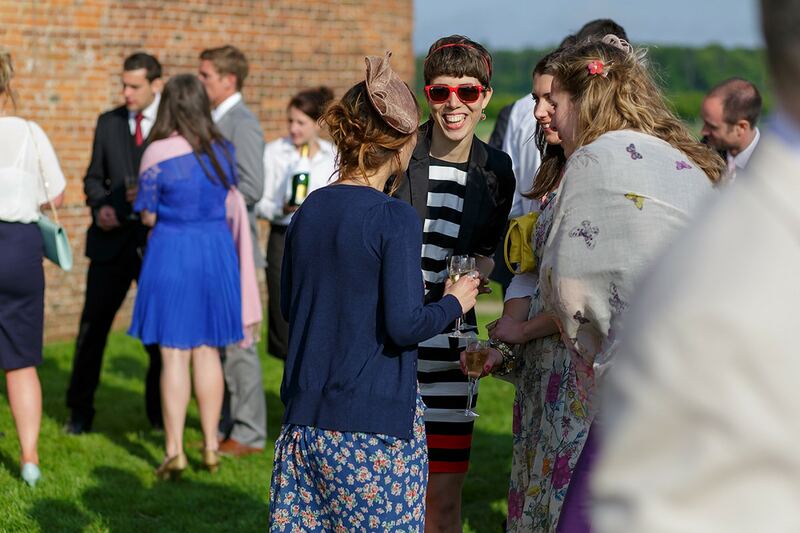 It was then over to the barn to catch the guests arriving and enjoying afternoon tea. 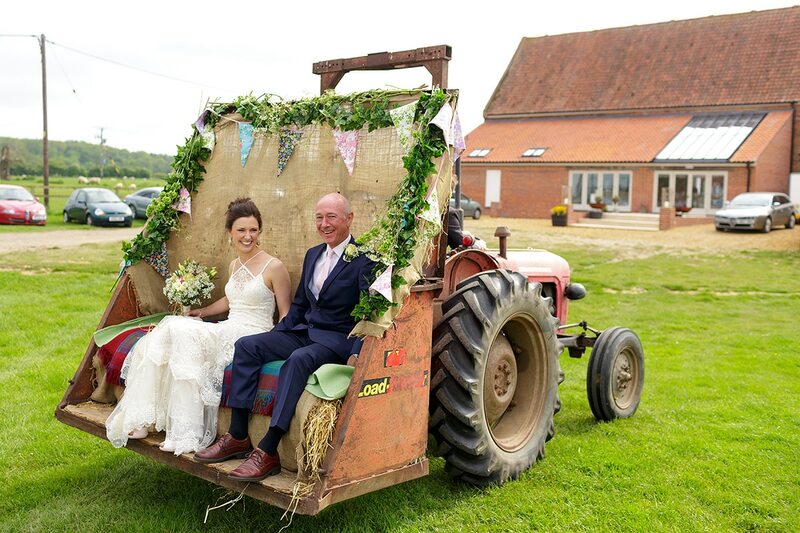 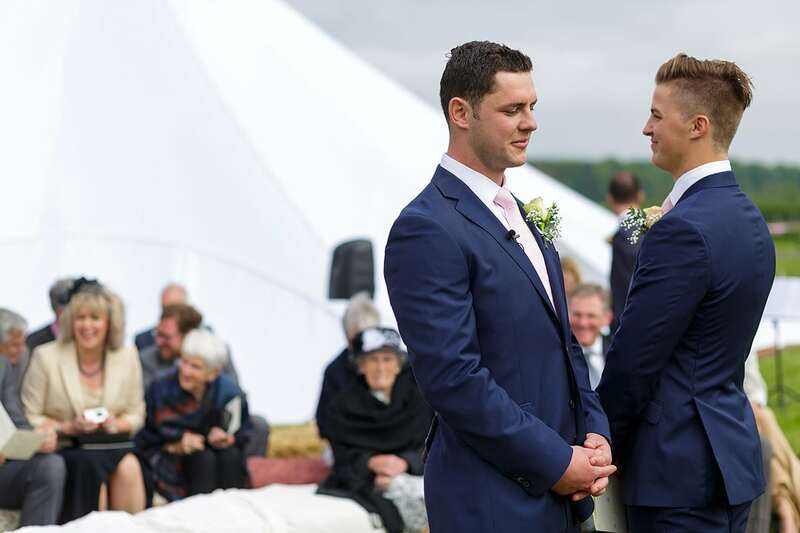 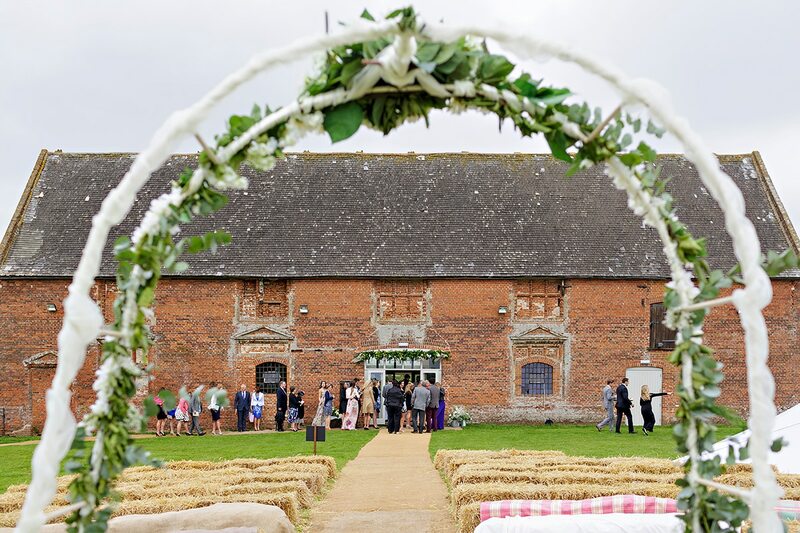 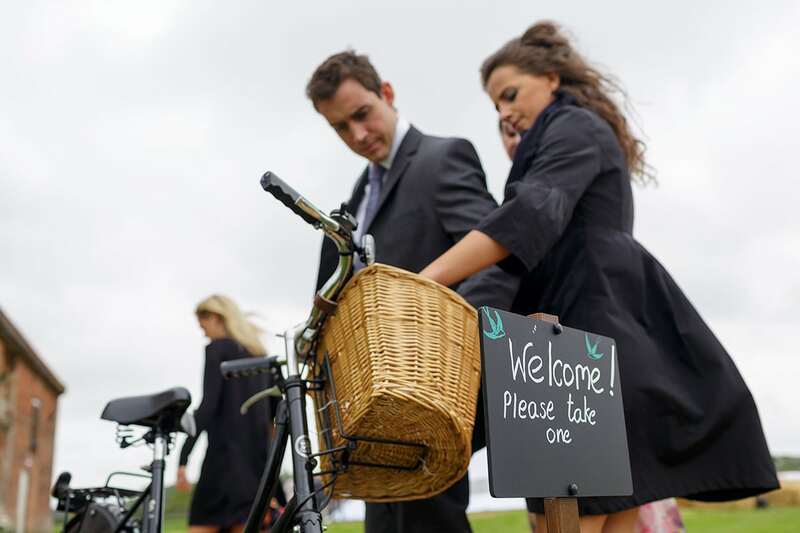 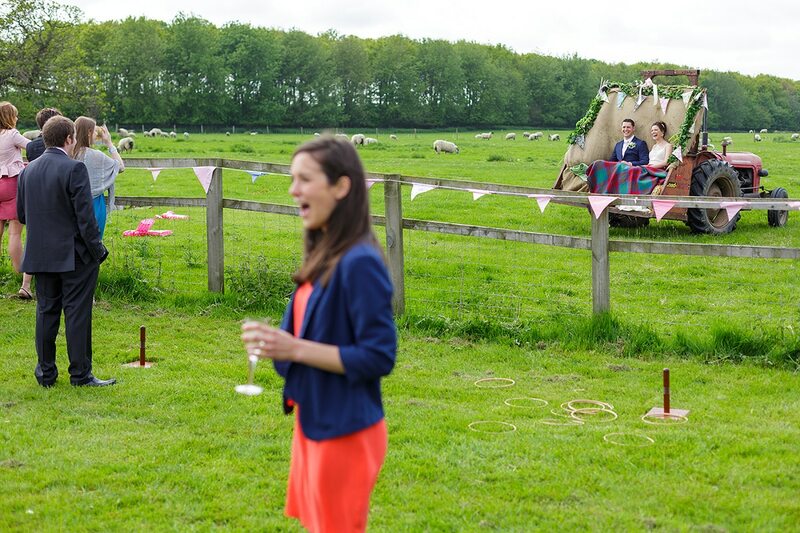 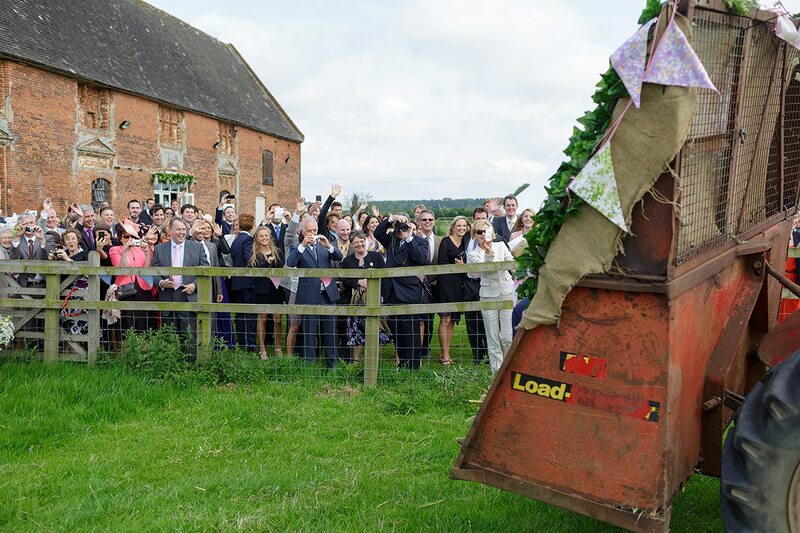 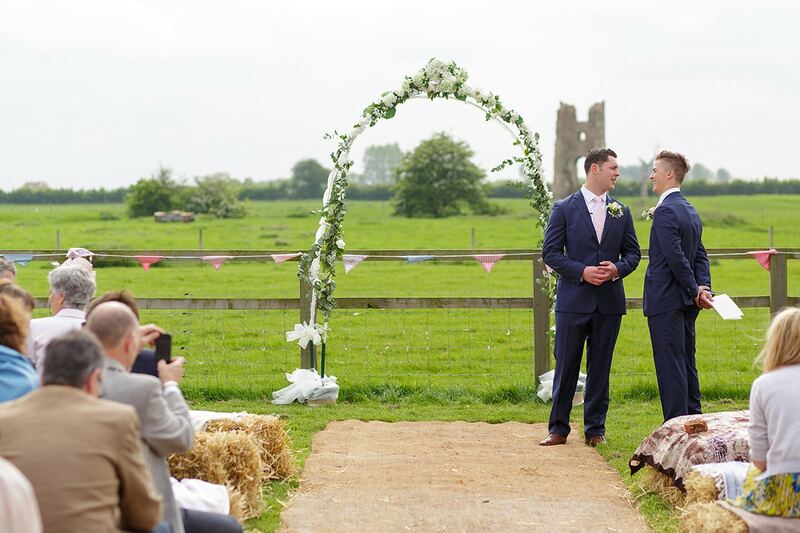 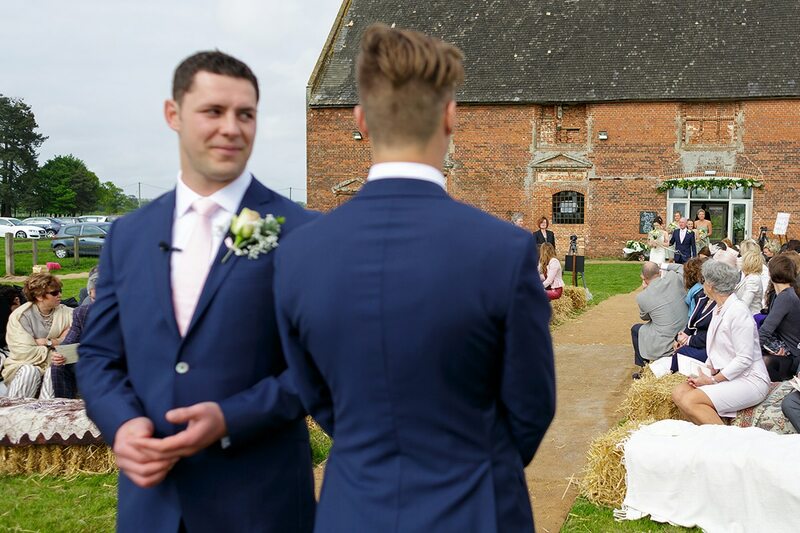 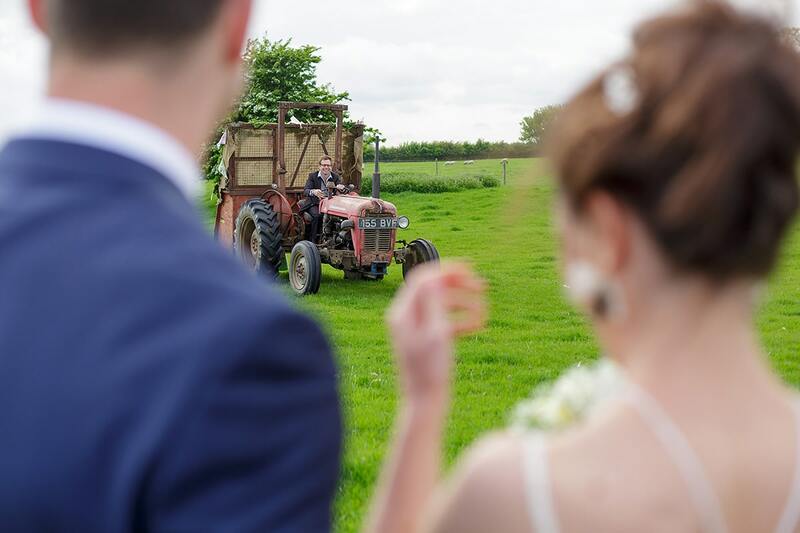 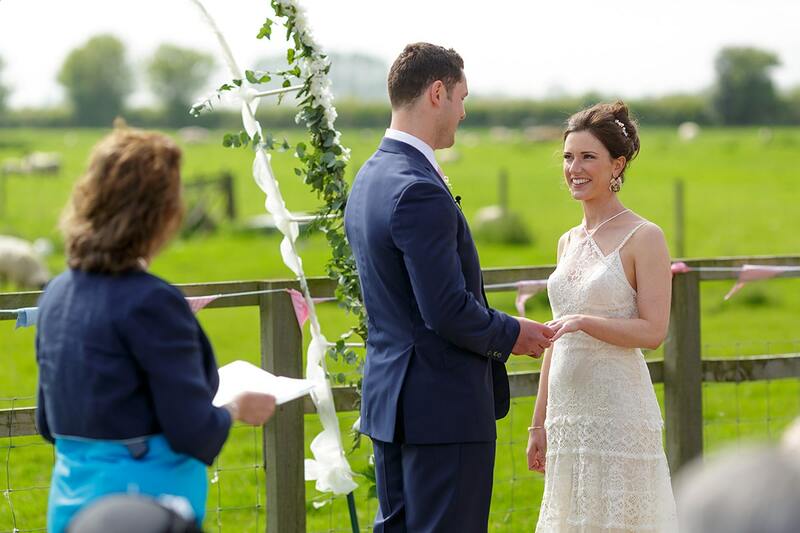 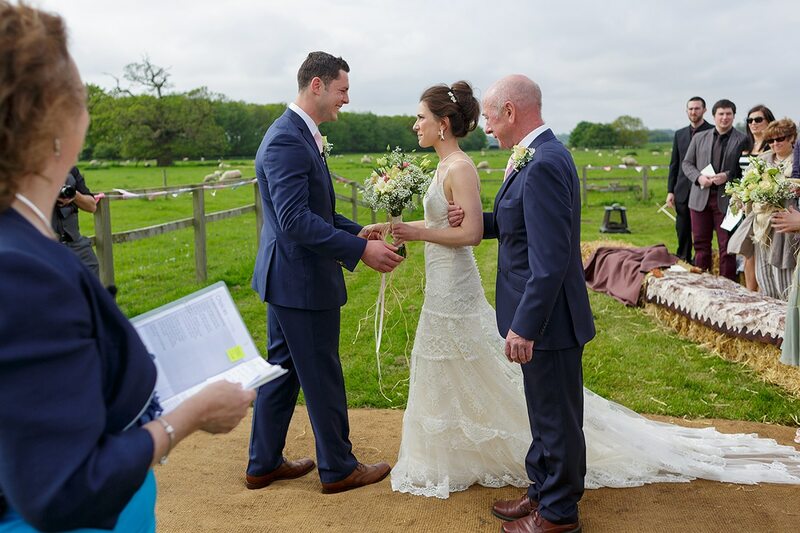 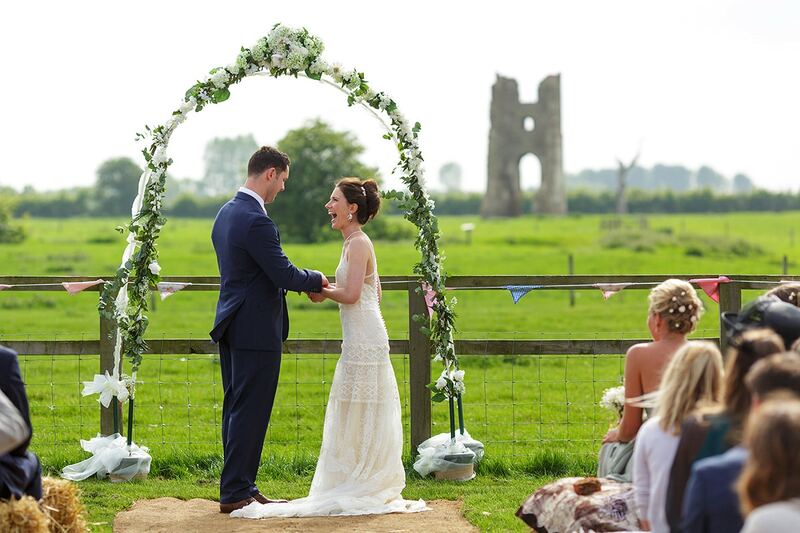 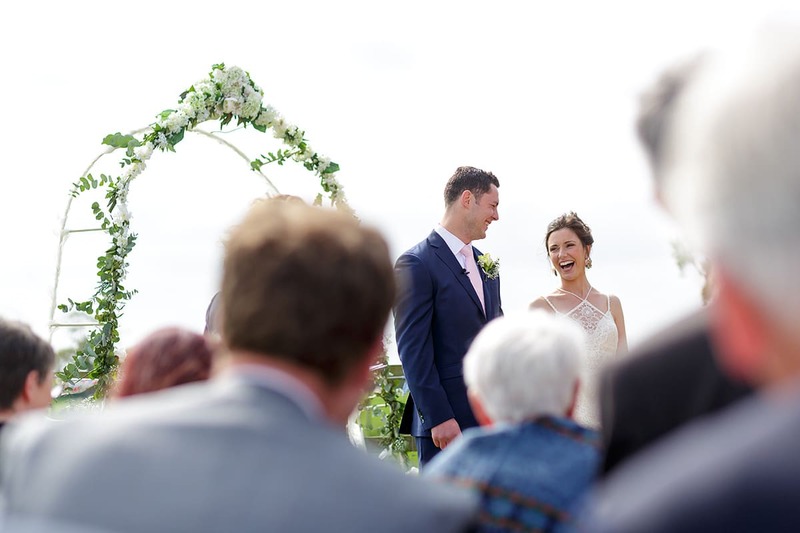 It was a chilly start to June, but Kate and Ben decided to brave the elements and hold their ceremony outside with the guests seated on straw bales. 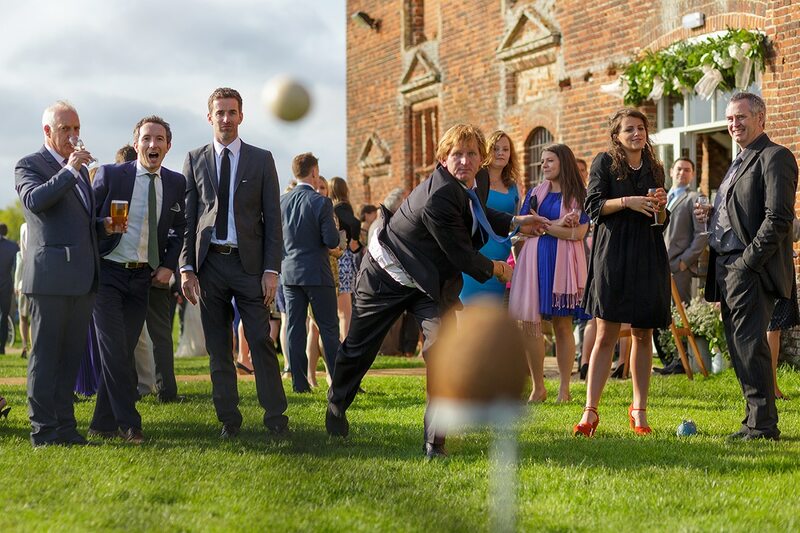 The weather played ball, and after a sunny ceremony it was inside to conclude the legal bits. 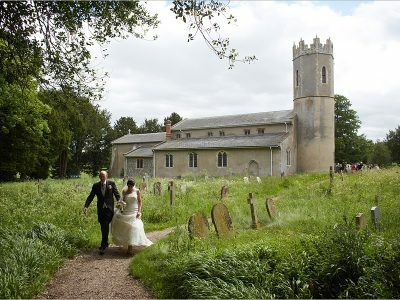 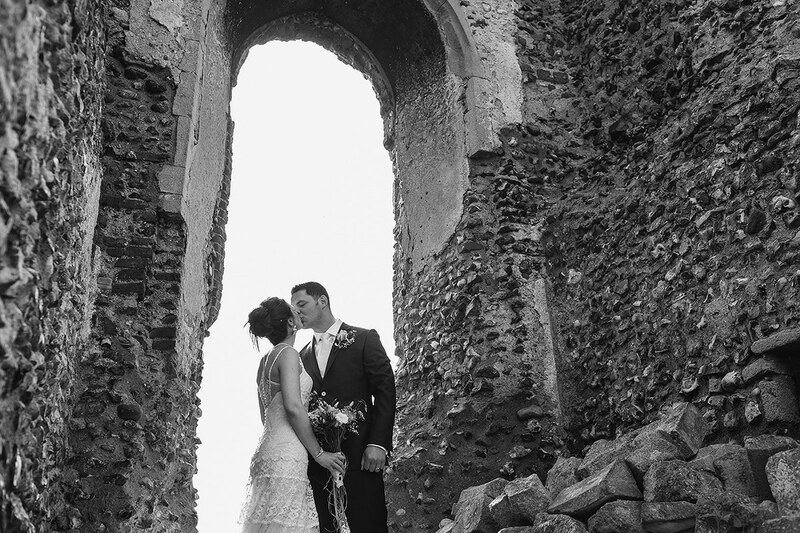 A quick run through the confetti and then off to the ruined church tower for some family and couple photos. 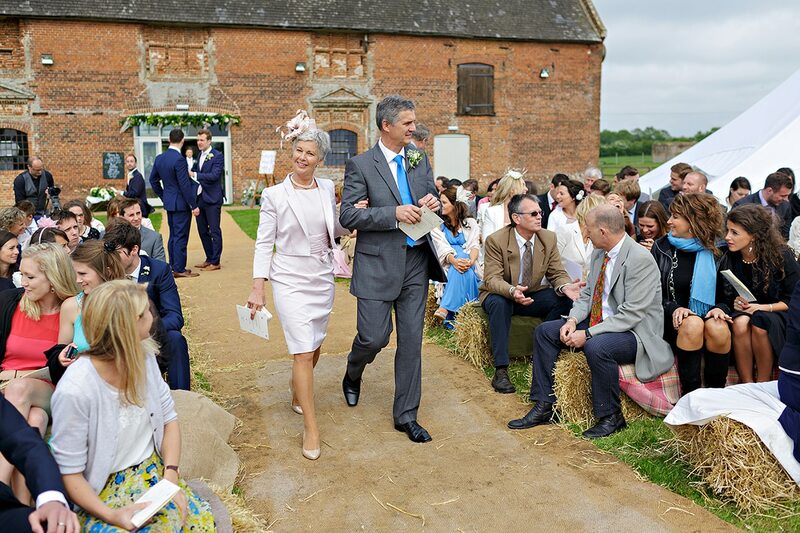 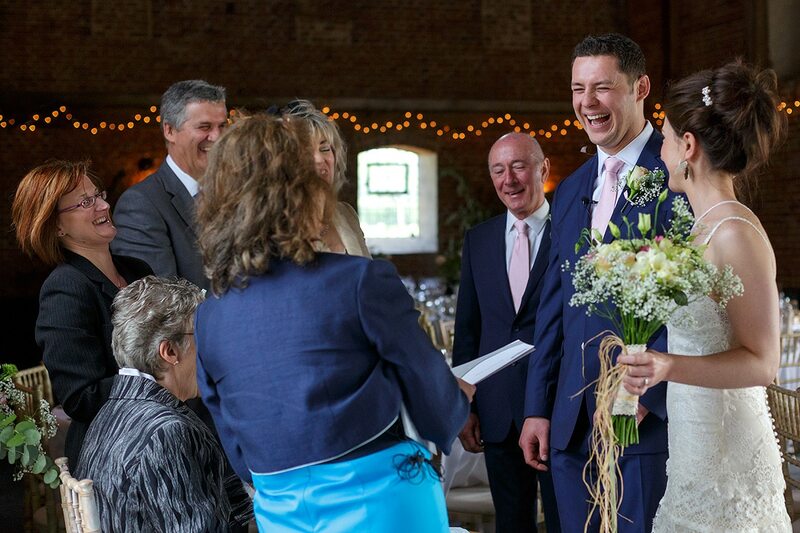 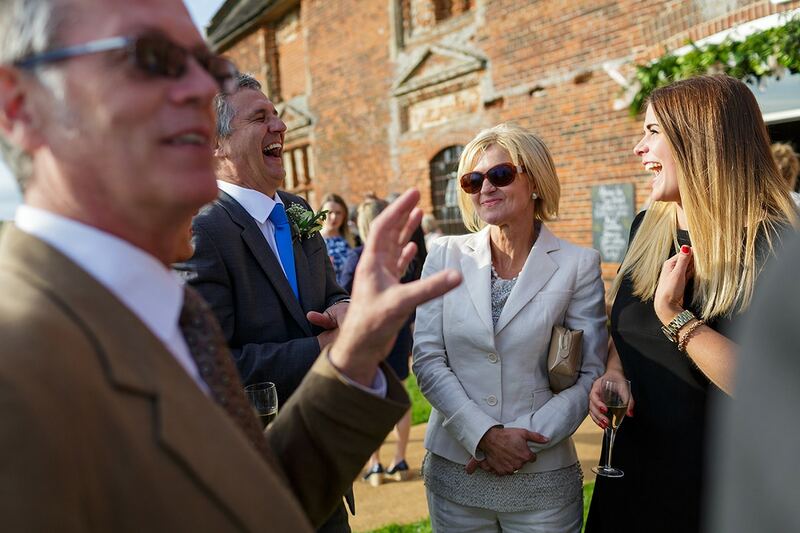 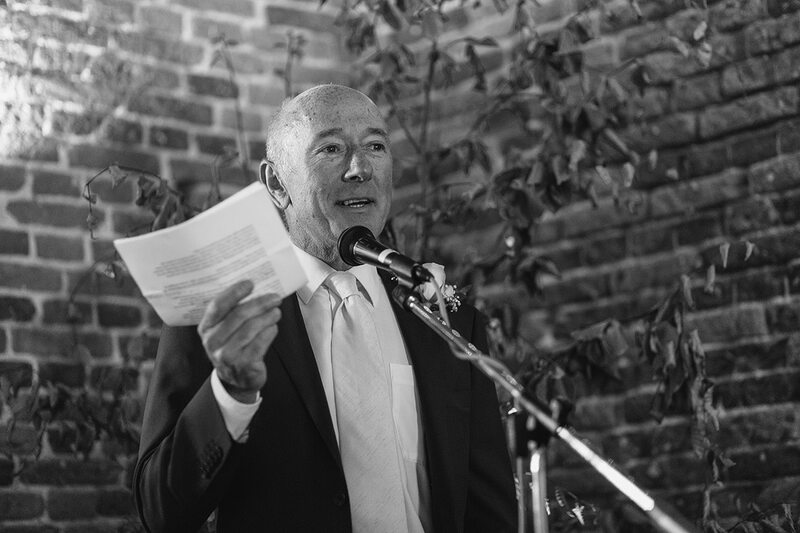 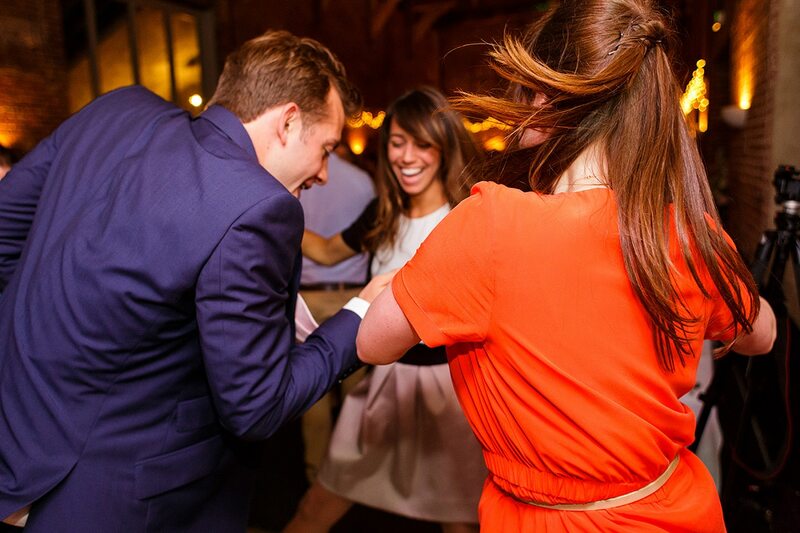 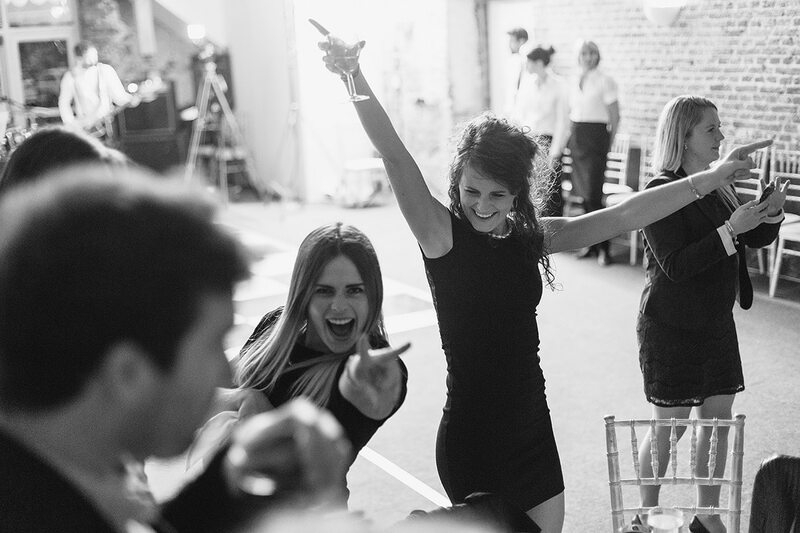 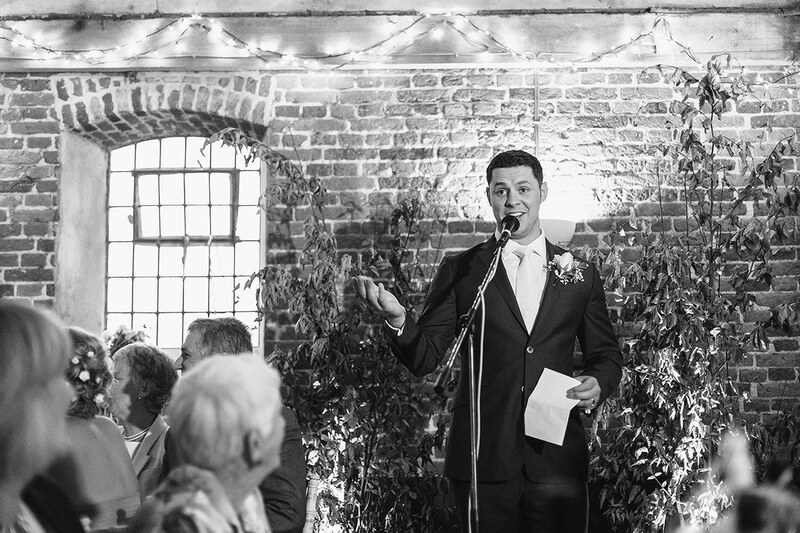 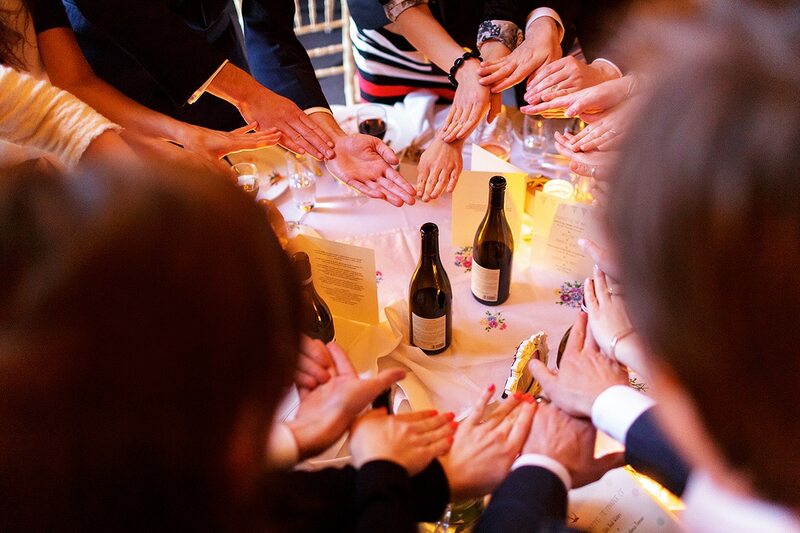 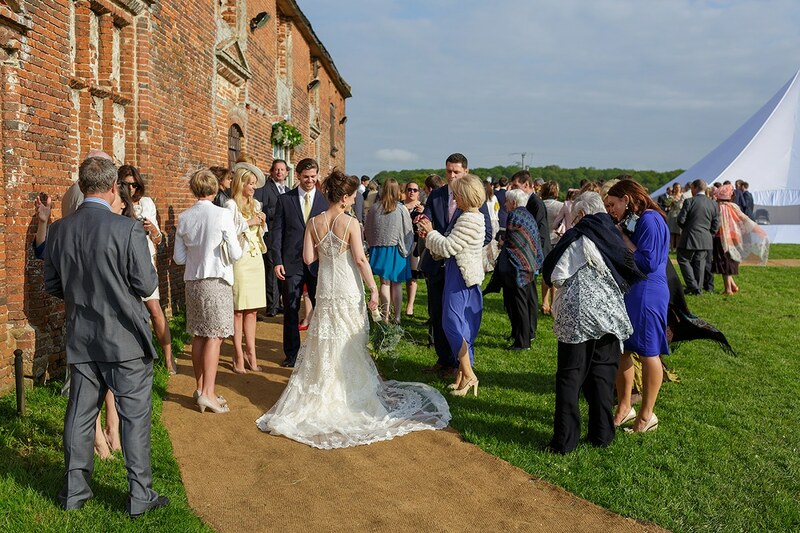 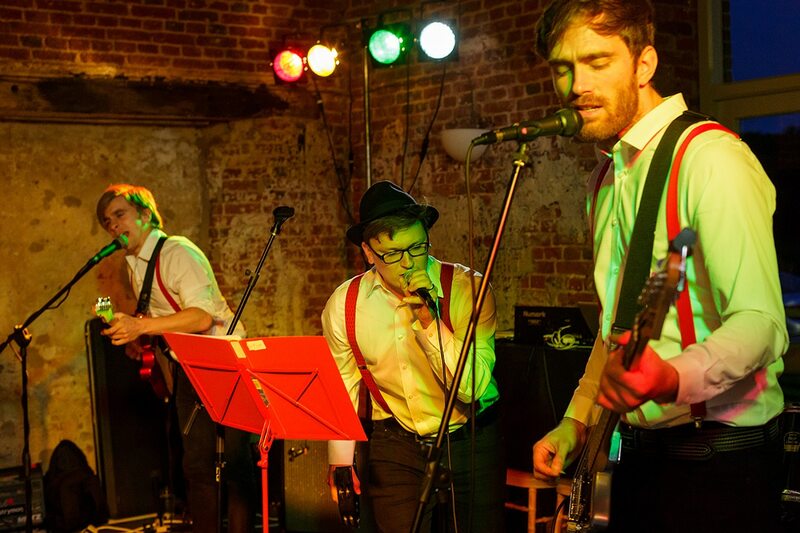 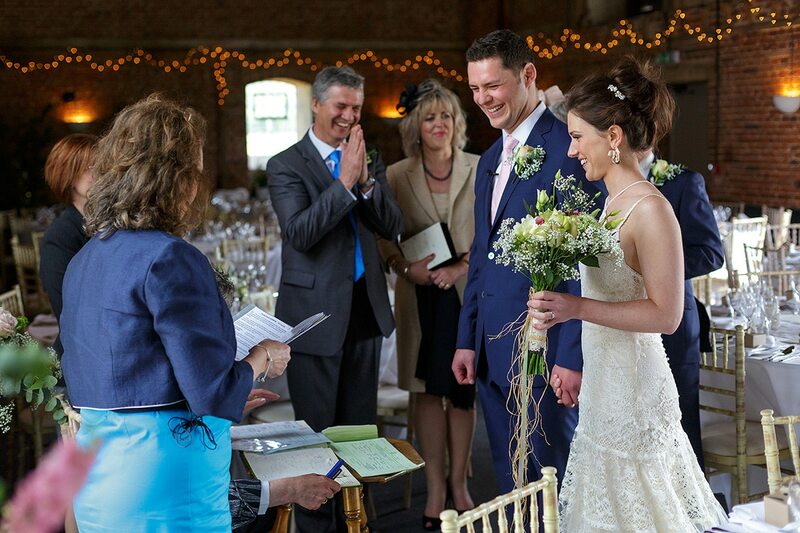 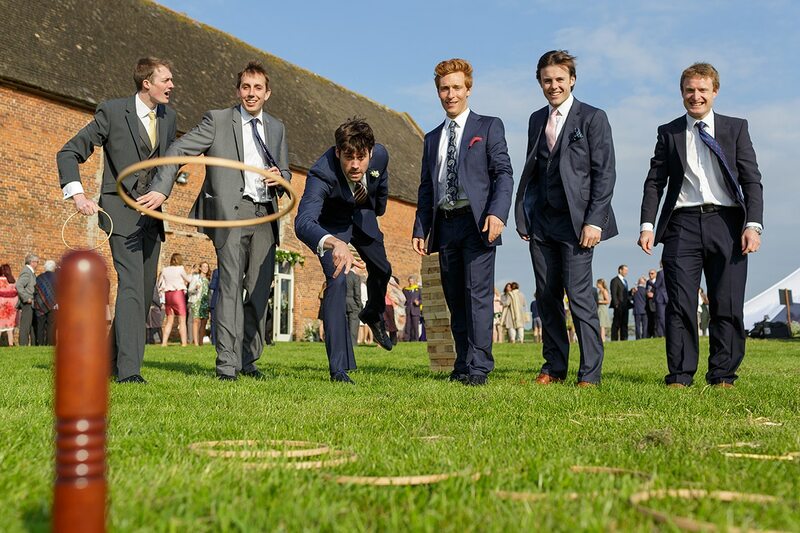 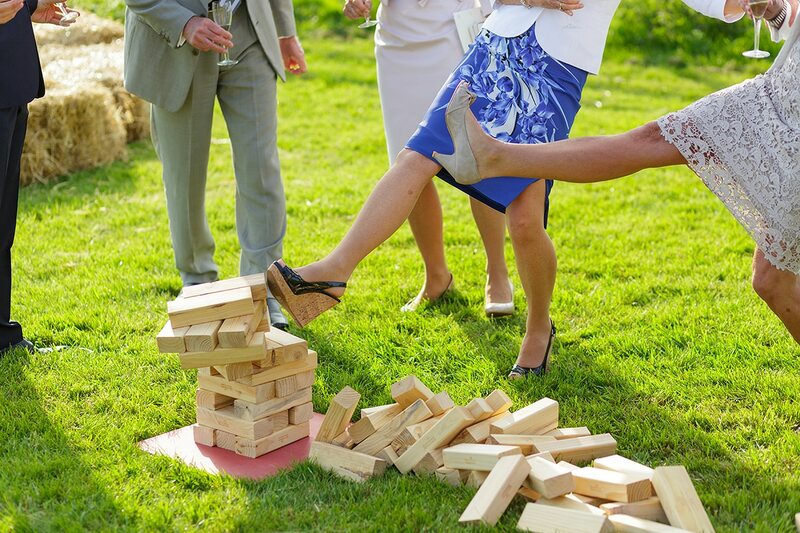 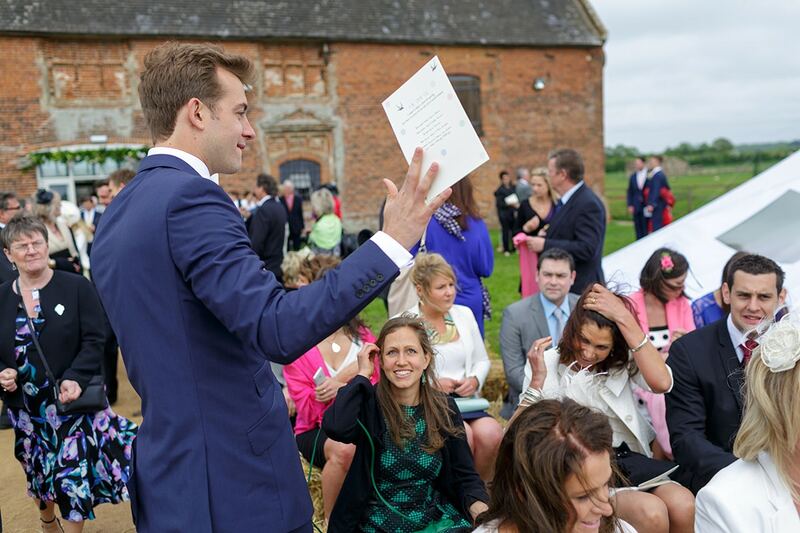 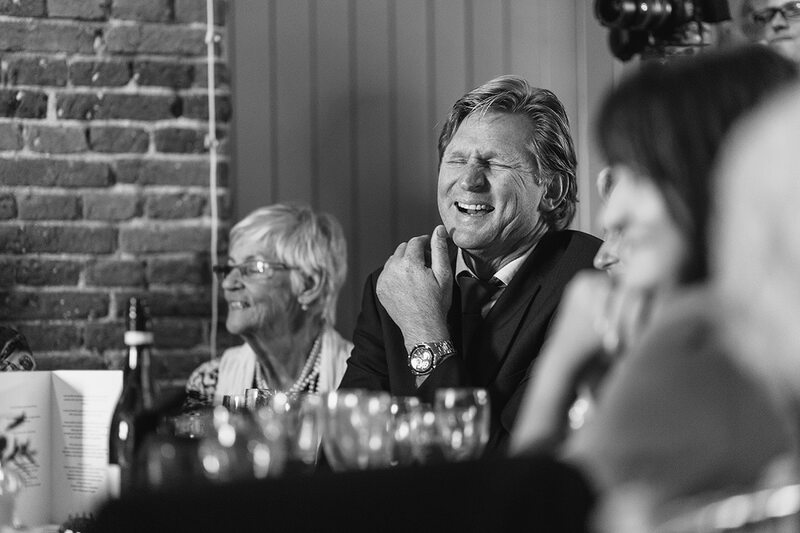 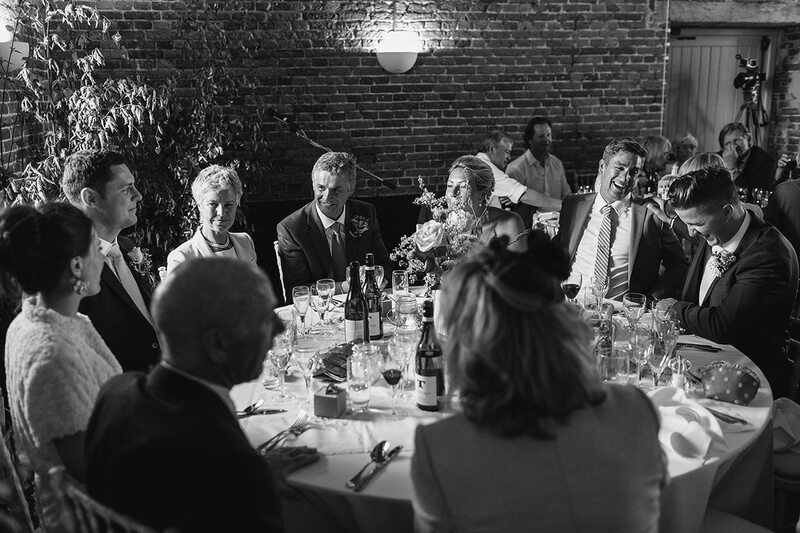 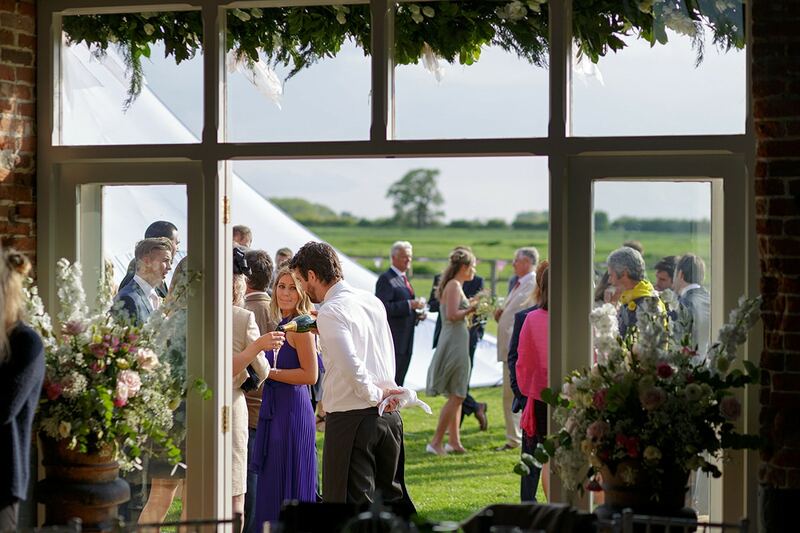 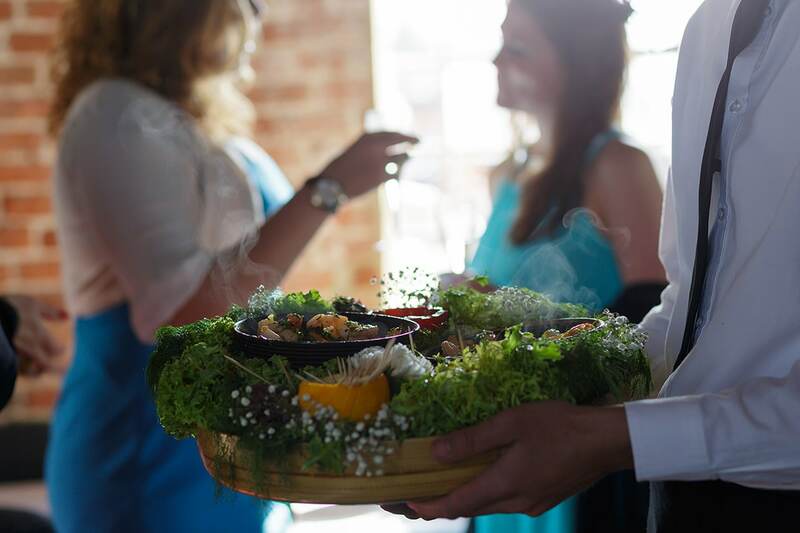 The guests enjoyed the garden games until it was time to sit down in the barn for speeches, the wedding breakfast and then dancing the night away to a great band. 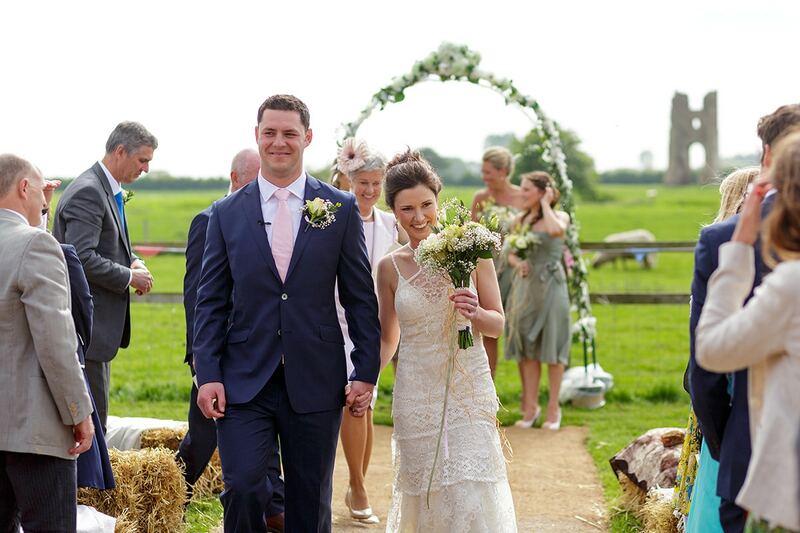 A great summer wedding ! 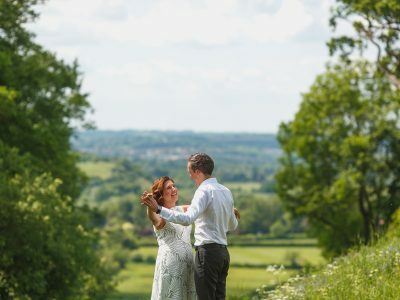 Congrats Kate and Ben ! 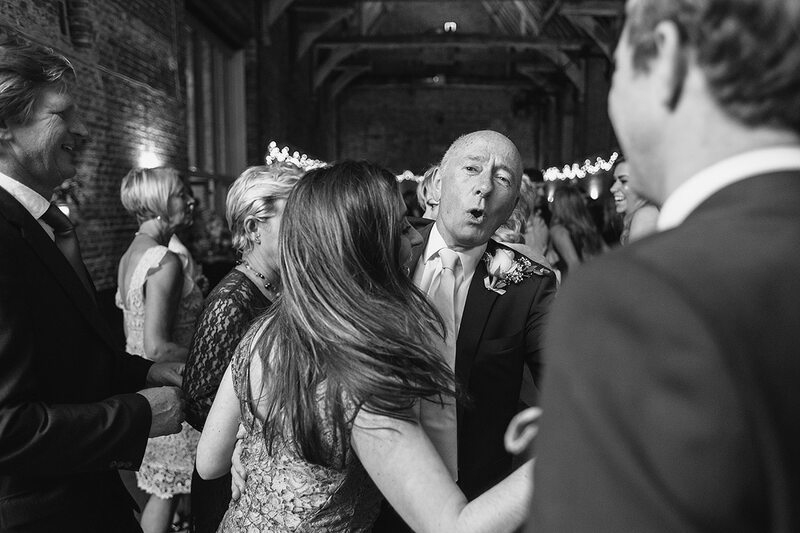 Fantastic Images, as ever, Duncan.